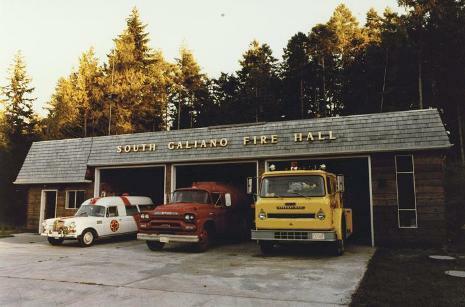 The first fire truck was bought before there was a hall to put in. After a couple of temporary spots in the Sturdies Bay Area, the old Light and Power building was converted to be our first hall. 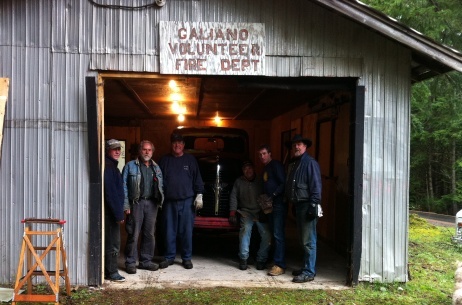 Fast forward to 2010: in a "circle of life" moment, the old truck is returned to the old hall as it awaits restoration. 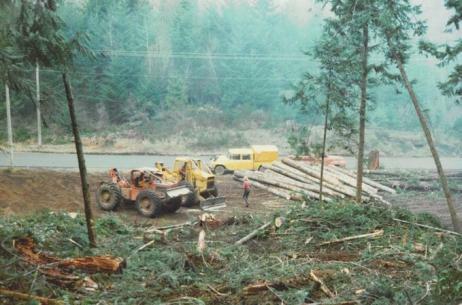 Construction for the new hall began in 1974. Land for the hall was donated by Vic Zala, who also owned the Corner Store. Here the site is being cleared in preparation for building. 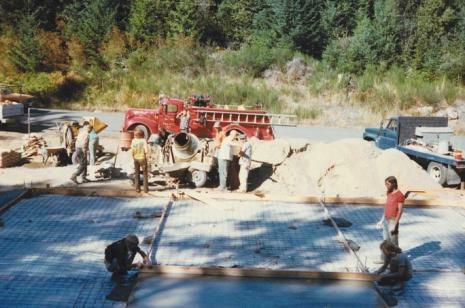 The new hall was built on a slab foundation. Slabs were later poured in the front for the vehicle tarmacks. Here's a shot of the completed hall circa 1975. Our first brand new fire truck, in shiny yellow, is in the third bay. 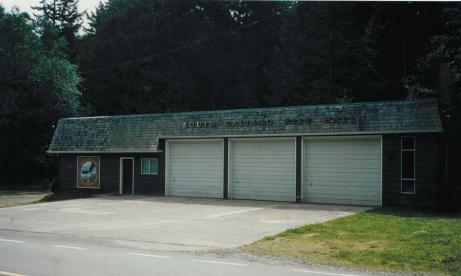 At that time the fire hall also housed the local ambulance. With time, the training space in the hall was found to be too small. In 19? ?, a plan was made to double it's size. 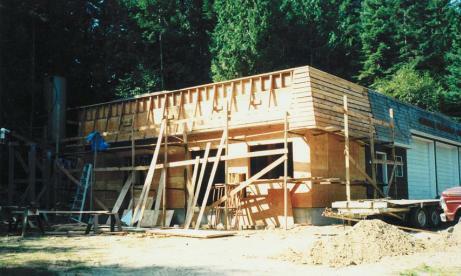 As with the original building, all the labour was done with community volunteers. The space added to the training hall has proved very useful. In this shot you can see our logo on the addition, design by Renaldo Norden, but painted by Keith Holmes. Since the training space addition, on the opposite side of the building, another truck bay was added and a generator building constructed. The training ground has been paved as well. 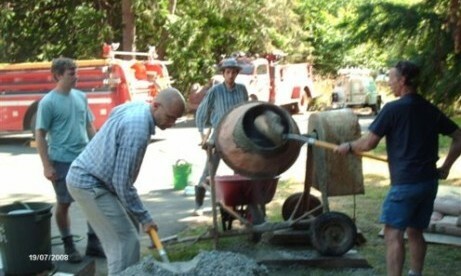 With plans to restore the original engine 1, the garden on the left side was remove and yet another cement pouring party was held. 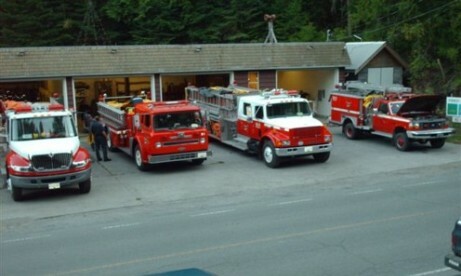 Plans to construct a permanent shelter for the restored fire truck are in place, but not yet underway.